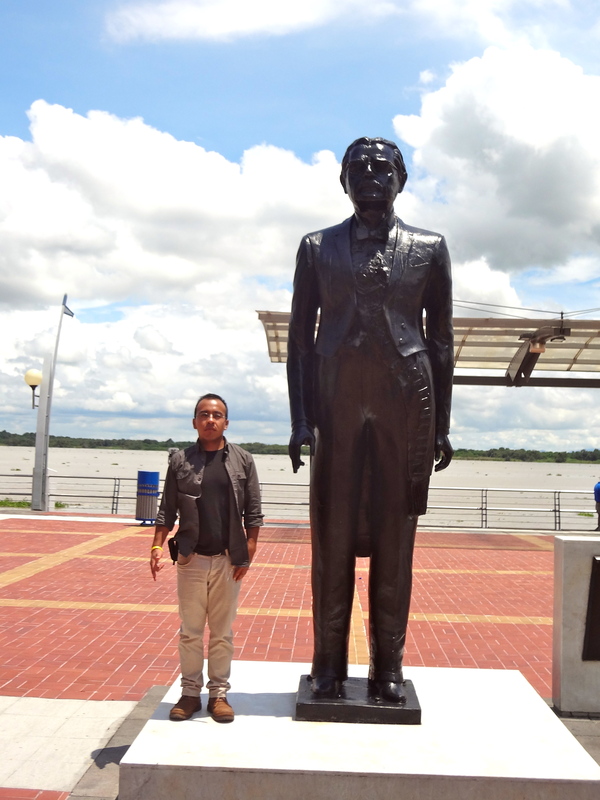 Last weekend I took a trip with Esteban to Guayaquil and Montañita. 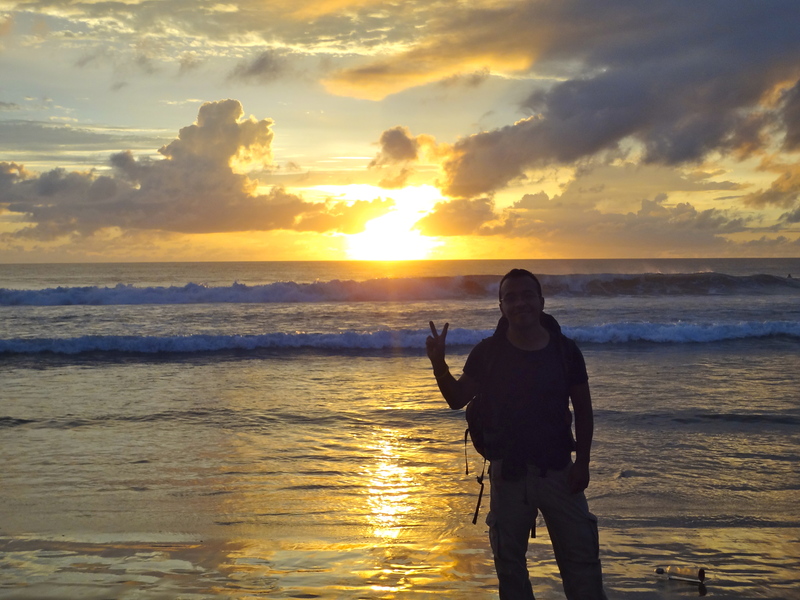 Both are located on the coast and both are beautiful in their own special way. 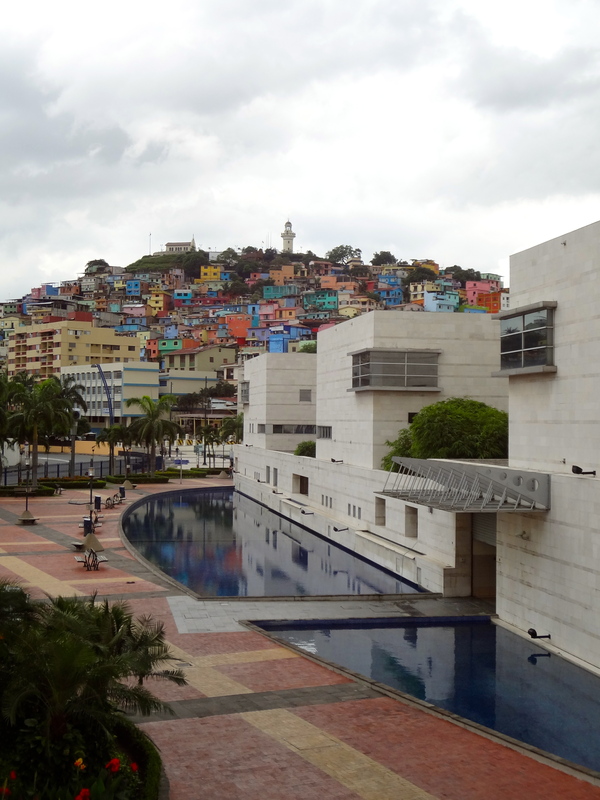 Guayaquil is the largest city in Ecuador with the worst reputation. But it turns out, it’s not such a horrible place! In fact, I thought it was pretty fabulous! 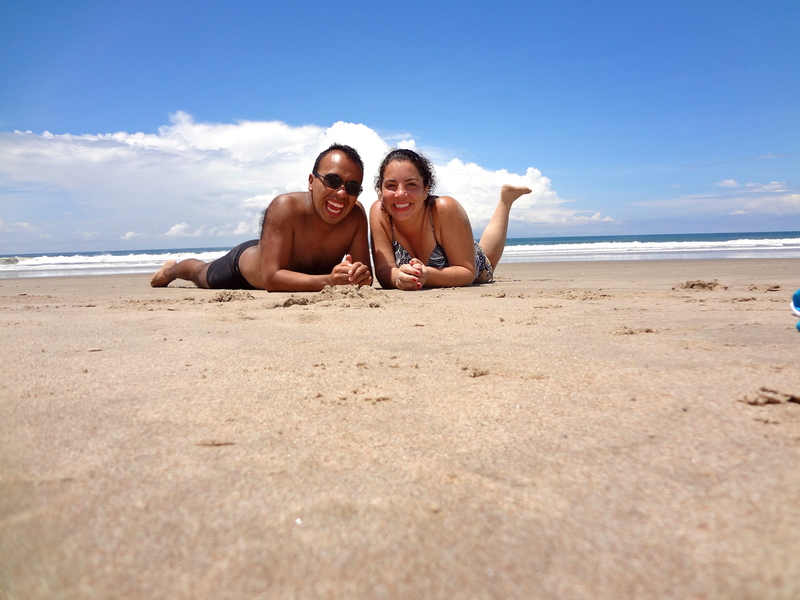 We were only there about 24 hours before we headed to the beach, but those 24 hours were really fun. 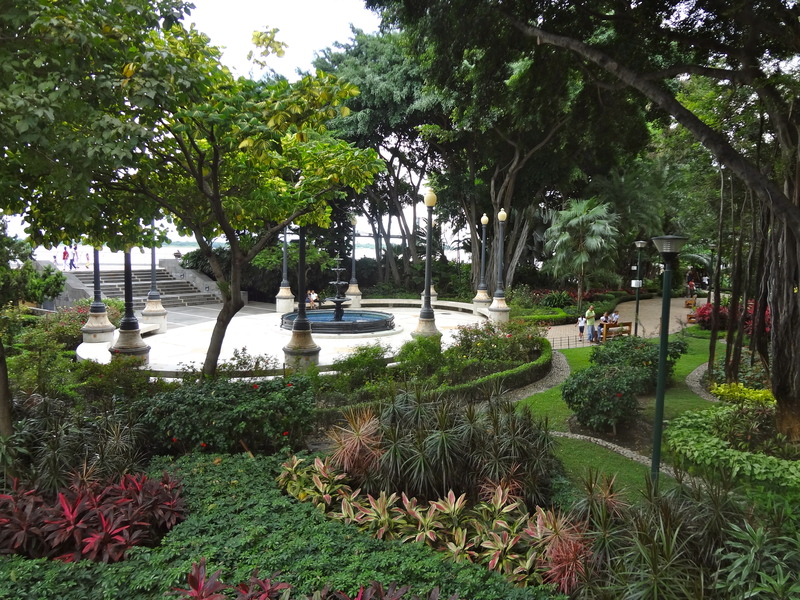 We started our tour of Guayaquil with a trip to the Parque Seminario which is well known for its land iguanas. 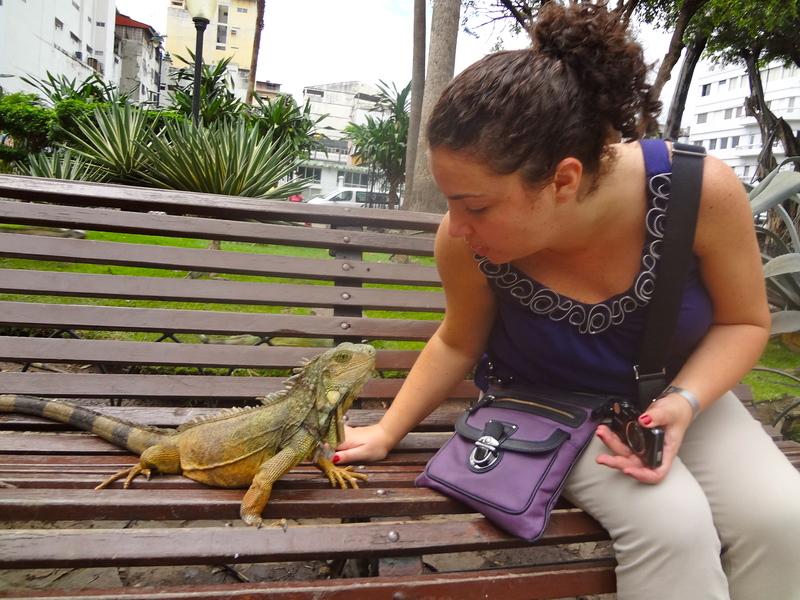 I thought there might be 10 iguanas wandering around. More than that! I had so much fun petting them and lots of people were feeding them. 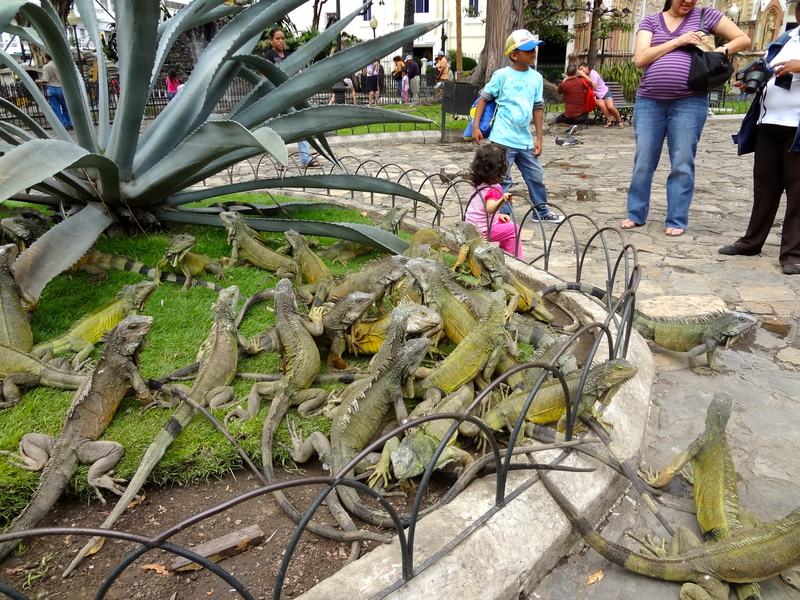 The park is open so the iguanas could escape if they wanted. But it seems they are perfectly happy getting fed by tourists and sleeping in the sunny branches of the park’s trees. There were lots of pigeons and turtles too! I thought it was hilarious that Esteban was most excited about seeing a squirrel. They don’t have any in Quito. So we stared at a little squirrel for a while before it scampered off. 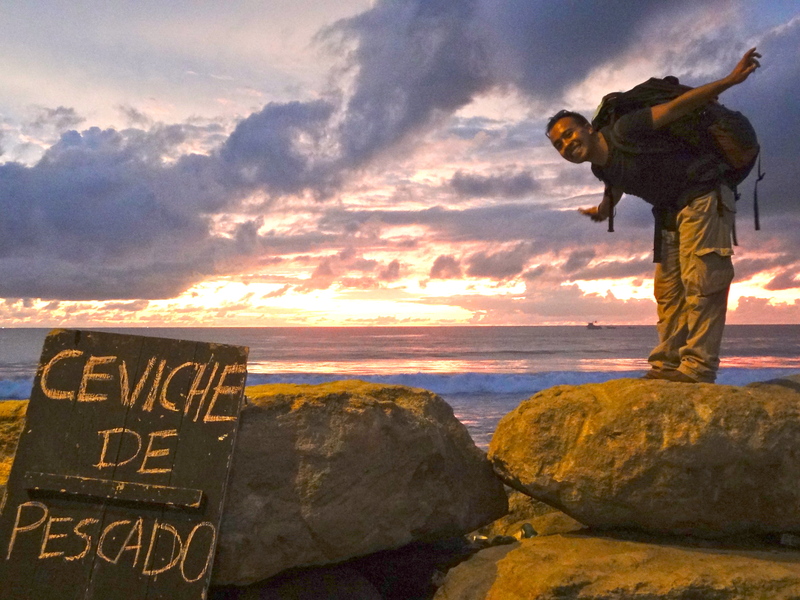 We spent most of our brief time on the Malecon 2000. 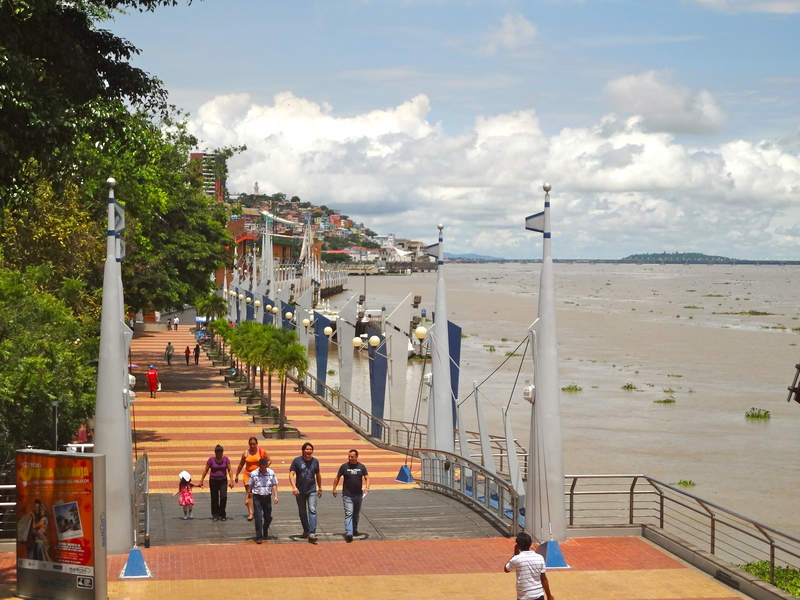 It’s a boardwalk the runs along the river that flows through Guayaquil. It is a spectacular place. You can walk along it for hours. 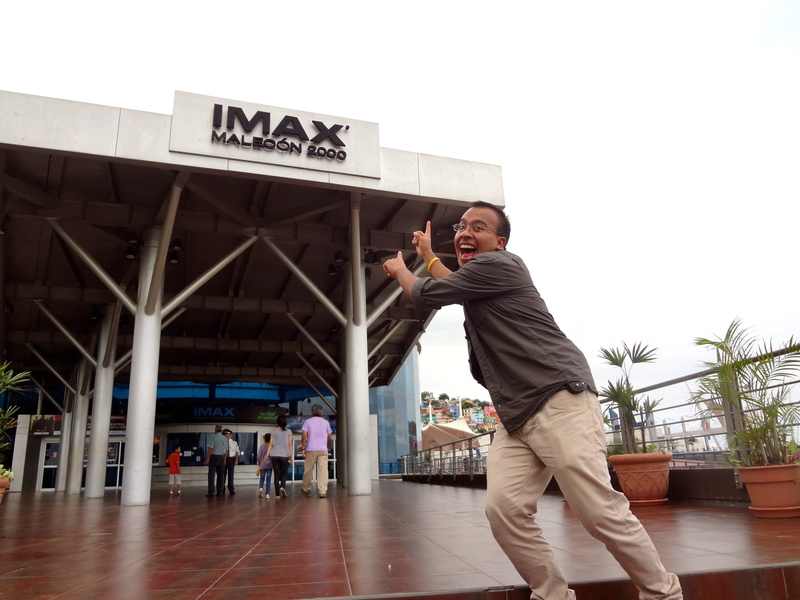 There are restaurants, gardens, an IMAX theater (closed – E was really sad), a museum, lots of statues, and look-out points. 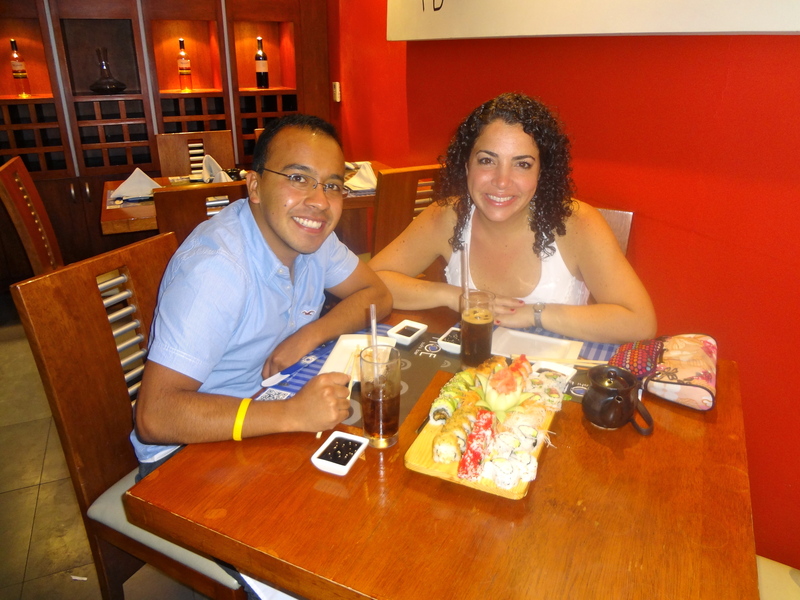 That night we went out to NOE for sushi. Yummy. 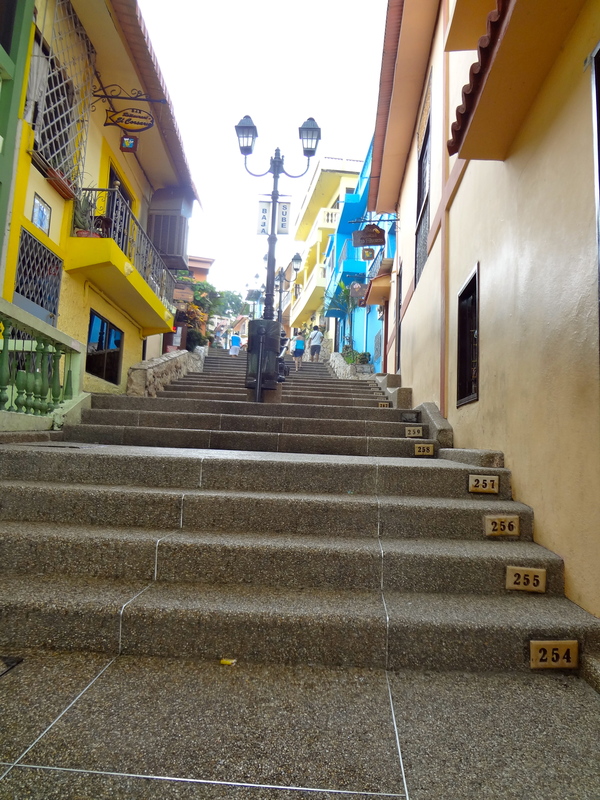 The next morning we climbed 444 stairs to get to the top of a neighborhood called Las Peñas. 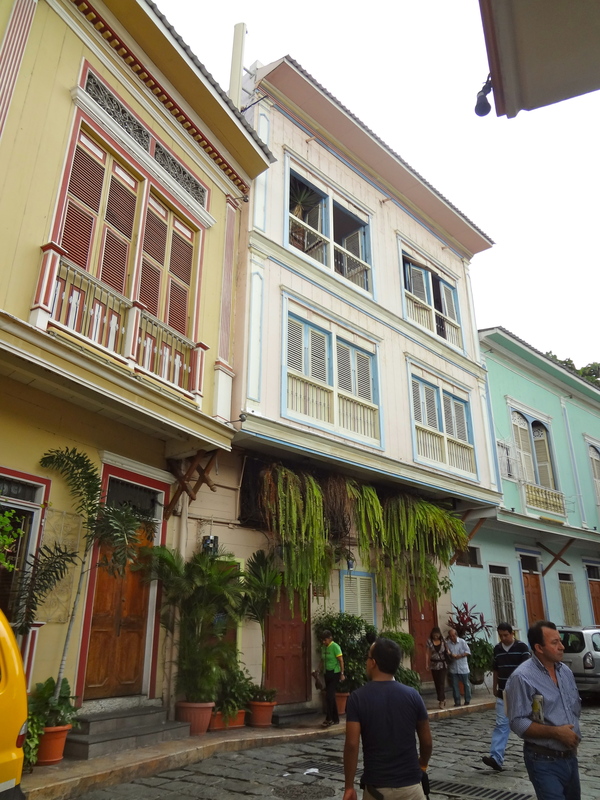 It is the only part of the city that still has its wooden houses and they are all painted beautiful bright colors. 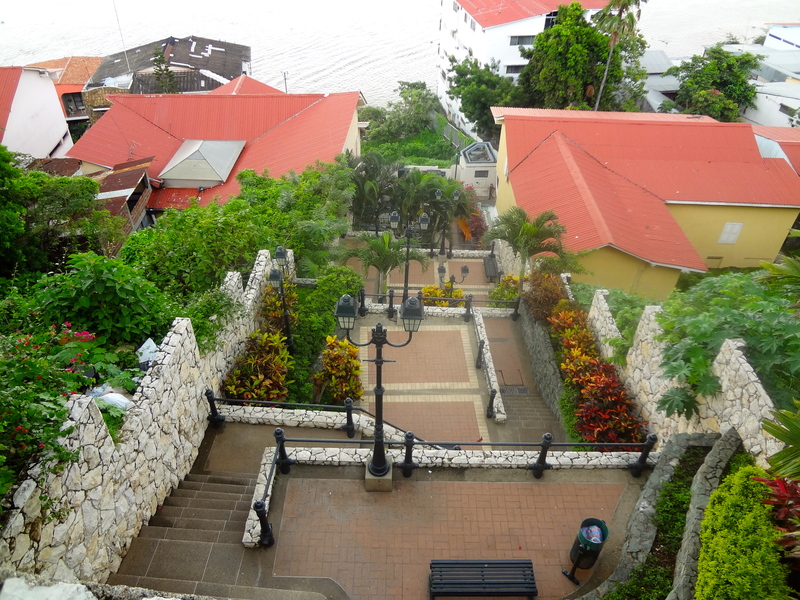 There are no streets for most of it, just stairs. We saw a family lugging all of their groceries up the stairs and stopping to catch their breath every once in a while. Brutal! But the view from this neighborhood was unbelievable! 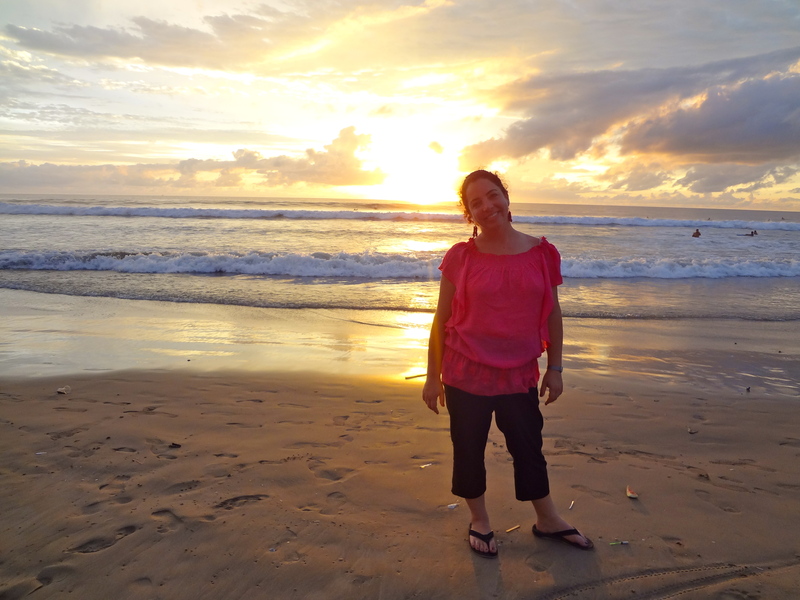 That afternoon we hopped on a bus and took a 3.5 hour bus ride to Montañita, a little beach town that was FULL of gringos. We lucked out because we missed the surfers who had taken over the town the week before, and we missed the crazy carnavale crowd. So the beach was empty and the weather was perfect! We were pretty lazy and just laid around on the beach and played in the water for the next day. 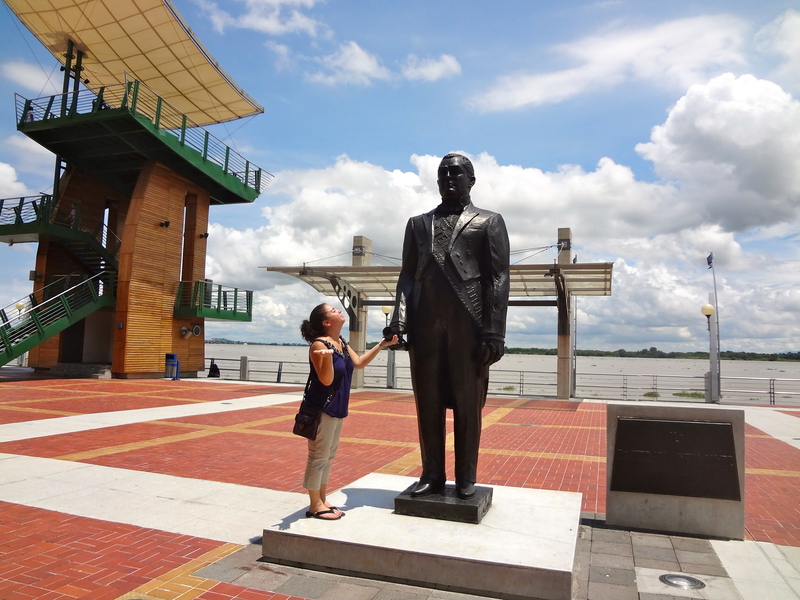 We left late in the afternoon and headed straight the airport in Guayaquil and took a plane home. 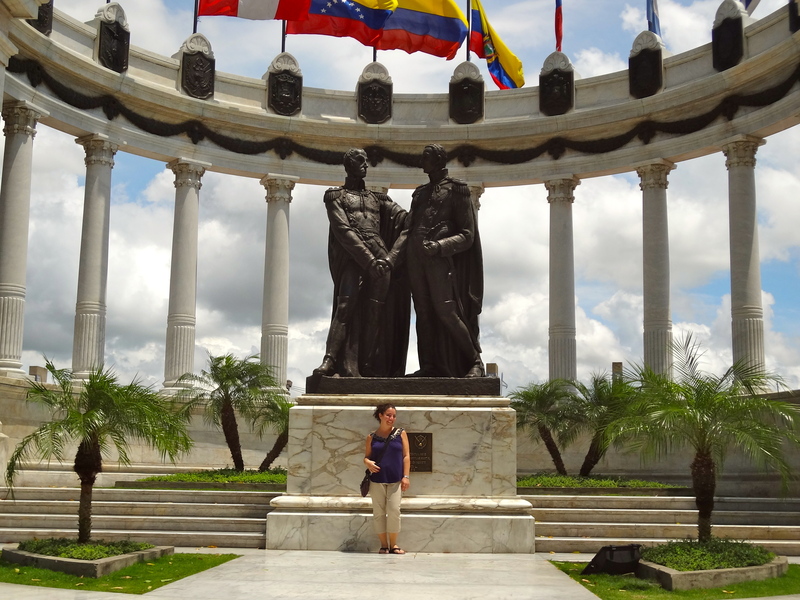 It was pretty depressing to go from warm, tropical temperatures to cold Quito. 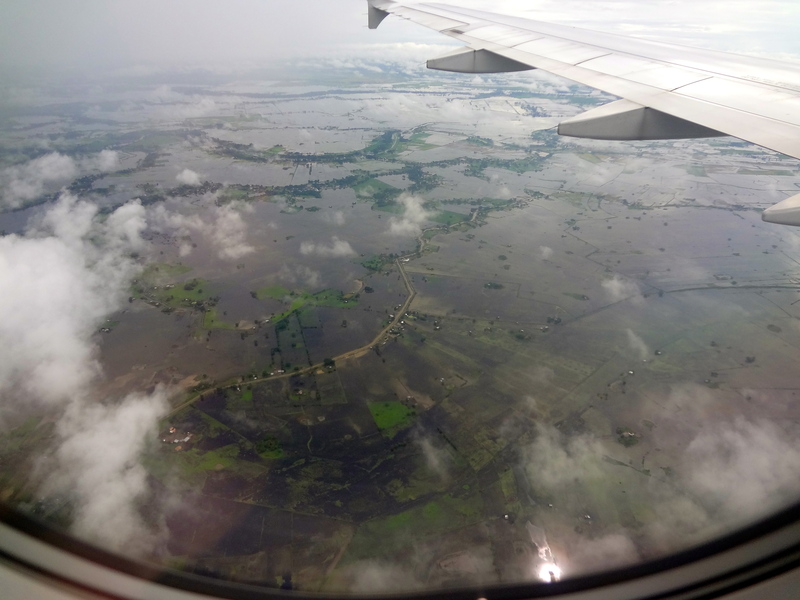 But coming back to our awesome family made up for the weather…..kind of! 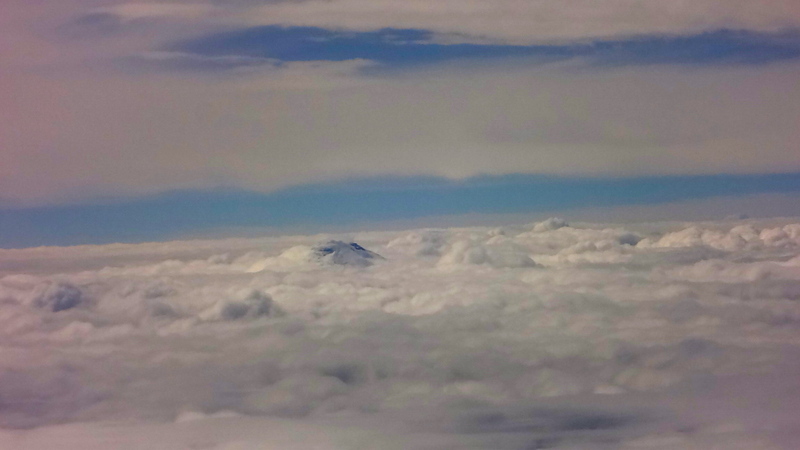 Chimborazo peeking through the clouds! This was just a few of them fighting for a little food! The Rotunda – the whispering monument! 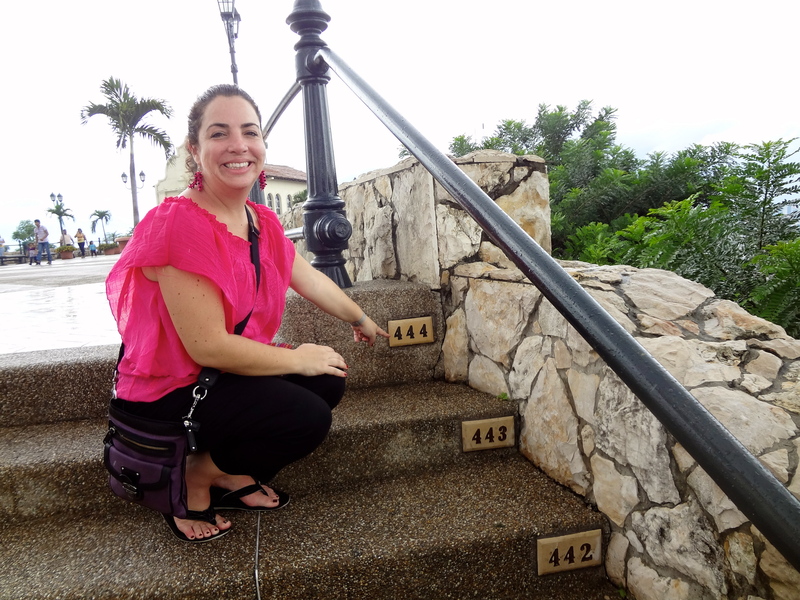 I made it to 444! 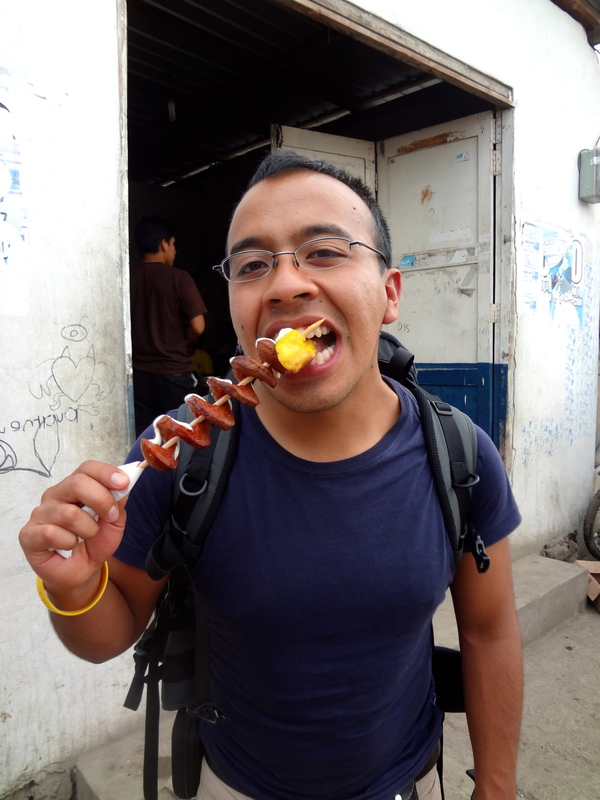 Esteban eating some street food! I haven´t seen a sunset in months! 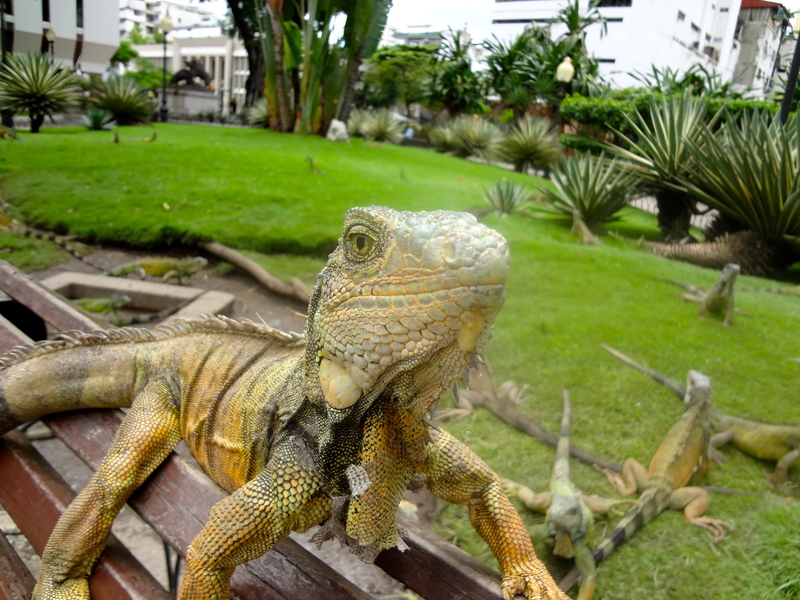 This entry was posted in Ecuador, Family and tagged beach, Guayaquil, iguanas, Las Peñas, Montañita, Travel by magpieb. Bookmark the permalink.